There is nothing so rewarding as eating a fresh, juicy vegetable or fruit, or looking at a flower you've grown yourself. Knowing that you've grown them from tiny seeds adds to the satisfaction. What a miracle! Remember the first time is always the scariest, but also the most thrilling. Growing from seed is low in cost and there is a good variety from which to choose. Since seed packets generally contain enough seeds to feed a small village, you can share with a friend or two. 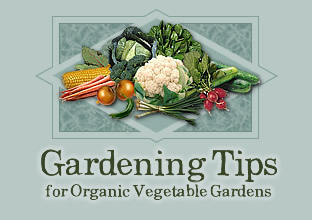 To do this, you need seeds, a growing medium, containers, and adequate warmth and light. Stick with tried-and-true locally adapted seed varieties from a dependable regional supplier. Peat pots, peat pellets or fiber cubes are the best for seedlings, since they can be planted right into the earth. You can use other containers, such as Dixie cups, yogurt cups, milk cartons or tin cans to plant seeds (three times the length of the seed). Put the seeds in a warm place - 70 to 75 degrees. After the first true leaves appear, cut off all but the strongest seedling at soil level. As soon as the seedlings come up, put them under a light. Unless you have a greenhouse, most windows do not provide enough light for growing good seedlings. They grow best under fluorescent lights. Several kinds of special growth lights are available, but regular fluorescent lights generally are adequate. Hang the fixture so that is is eight to ten inches above the seedlings. Keep the soil moist, but not soggy. Feed the seeds a natural fertilizing solution - fish emulsion is good. Repeated weal doses are better than one big dose. When the seedlings have four to eight true leaves, they're ready for the garden. It's best to harden off seedlings before putting them in the garden. About two weeks before planting put the seedlings outside a little each day. Start with one hour and move up. Now get ready to watch them grow. You owe it to yourself to grow something from seed this year.